Every effort has been made to provide up to date information about all available accommodation in the two parishes. If you are aware of any more please contact us with the details. The properties listed are a service to visitors to this site, we do not operate a rating system because not all properties have been viewed, therefore with regret we cannot make recommendations. If you contact anybody listed, please remember to let them know where you saw their details. Looking for a home to rent locally? Try http://www.devonhomechoice.com/Data/ASPPages/1/2.aspx for more details or contact Shebbear Parish Council Clerk for the latest local offers. 1 x double room with TV, ensuite & sitting room. Haddiport b&b. All the rooms have tea and coffee making facilities and colour television sets with DVD players, films and books are available for you to borrow during your stay. Upon your arrival a Devon cream tea will be waiting to welcome you, while fresh local produce and eggs from the resident chickens are used in the breakfast menu. Packed lunches can be provided if requested, but please advise us of any special dietary needs when booking. More details Even more details. Tyrella, Shebbear, Beaworthy, Devon EX21 Excellent village location Comfortable first floor, 2 double bedroom accommodation for 4 with a private entrance. This offers a great opportunity for a country escape but very close to the Devil's Stone Inn and South View Stores. The Old Shop B&B at Tyrella House, The Square, Shebbear. A luxurious en-suite double room converted from the old village stores that is full of character. 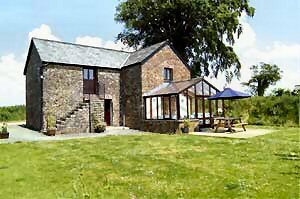 Petrock Holiday Cottages provide contemporary self catering holidays, a real alternative to a B&B or hotel. This delightful barn conversion is set in a courtyard position consisting of Motte and Bailey cottages. The stylish cottages are charming and welcoming with an open plan living area, well-appointed and comfortable interior and upstairs there are lovely stylish and chic double and twin bedrooms with high pitched ceilings and well-appointed bathrooms and twin bedrooms with high pitched ceilings and well-appointed bathrooms. The Long House is a fantastic Grade-II listed, thatched farmhouse situated within a 25 acre smallholding in the pretty village of Sheepwash. 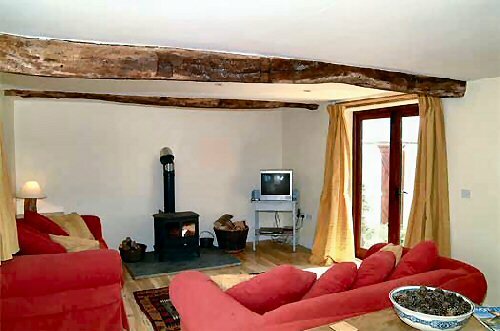 It’s complete with original wooden beams, a wood burning stove and inglenook fire place. Sleeps up to 6. For more information, contact Sykes Cottages on 01244 356695 or visit our website.